FREE 2 HOUR PIZZA & PITCHER PARTY! 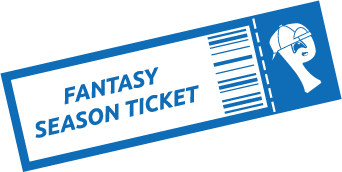 Fantasy Season Ticket also includes! Sport -- select -- Football	 Field is required. Auction draft Fantasy Season Tickets cost $149. Your draft slot will be 6 hours instead of 3 hours. Location -- select -- MaplewoodCreve CoeurFenton	 Field is required. Date (View Full Calendar) Field is required. Time Select time first Field is required. Phone Field is required. Zip Field is required. MVP card number (optional) Field is required. Draft hostess is dedicated to ensuring that your draft goes off without a hitch and is responsible for draft board upkeep. League Name Field is required. Draft Type -- select -- Snake Standard Field is required. PPR Scoring Type -- select -- PPR Standard Field is required. Standard Scoring Type -- select -- Yahoo Standard ESPN Standard NFL.com Standard CBS Standard Field is required. Number of QB Field is required. Number of RB Field is required. Number of WR Field is required. Number of FLEX Field is required. Number of TE Field is required. Number of K Field is required. Number of Defense Field is required. Independent Defensive Player -- select -- Team Defense IDP Field is required. Number of DL Field is required. Number of LB Field is required. Number of DB Field is required. Number of BENCH Field is required. It looks like you may have forgotten your password! To avoid getting booted, we recommend resetting your password now.